Sipping hot chocolate, celebrating with family and friends, cuddling up to a warm fire—there’s a lot to love about the holiday season. It can be a time of great joy. It can also be a time of great stress. This time of the year is extremely busy and chaotic for us all, and patience tends to be in short supply. As a result, people’s tolerance for mistakes during the holiday season is virtually zero. It’s easy to make a misstep that could cost your business in the weeks leading up to the holidays. After all, most businesses make a significant chunk of their revenue in the last couple months of the year, which means that any marketing mistakes you make during this time are especially costly. Much like the snow accumulating outside our windows this holiday season, emails start to come fast and furious in the weeks leading up to Christmas. However, this increase in advertising can quickly become overwhelming and even irritating to your customers. In fact, 55% of millennial respondents in a recent poll said that the number one mistake retailers make is sending too many emails. Now, it’s understandable that businesses try to increase their marketing efforts in the holiday season. There’s definitely a pressure to keep up with the likes of big-name retailers like Walmart or Target. Instead of focusing on quantity, however, you should be focusing on quality. That’s how you’ll set your business apart. Get creative with your marketing campaigns, and concentrate on what makes your business unique. While many businesses slow their marketing efforts down as Christmas day approaches, you should really be doing the opposite. So-called “Super Saturday,” the Saturday before Christmas, is one of the biggest shopping days of the year. (In fact, this year, it’s projected to be second only to Black Friday). Last year, 53% of consumers (126 million people) reported waiting until the weekend before Christmas to wrap up their gift shopping. Let’s face it, we’ve all been there—running around town at the last minute, frantically trying to check names off our shopping list. Keep reaching out to those procrastinators right up until the last minute, gradually increasing the urgency of your calls to action as December 25th draws near. The holiday season is hectic, and we all want to save time where we can. That’s why so many businesses end up running the same marketing campaigns over and over again each year. Those pictures of the “Elf on the Shelf” hiding around the office may have gone over well last year, but people want to see something new this year. If your holiday campaign is unique and creative, chances are, people will remember when you start sending out the same emails and posting the same pictures again this year. So, don’t be afraid to try something different! The holiday season is a great time to pull lapsed customers back in and get them excited again about your brand. A little planning goes a long way toward avoiding these major marketing mistakes. Keep your marketing efforts tight and organized. Focus on providing value to your customers—whether that’s through content, discounts, or other special perks. If you make it your goal to spread holiday cheer, you’re sure to land on the “Nice List” this holiday season. If you need a little extra help with your marketing, Michaels Wilder is here to help year-round. We take pride not only our creative approach but also in the awesome results we deliver to our clients. 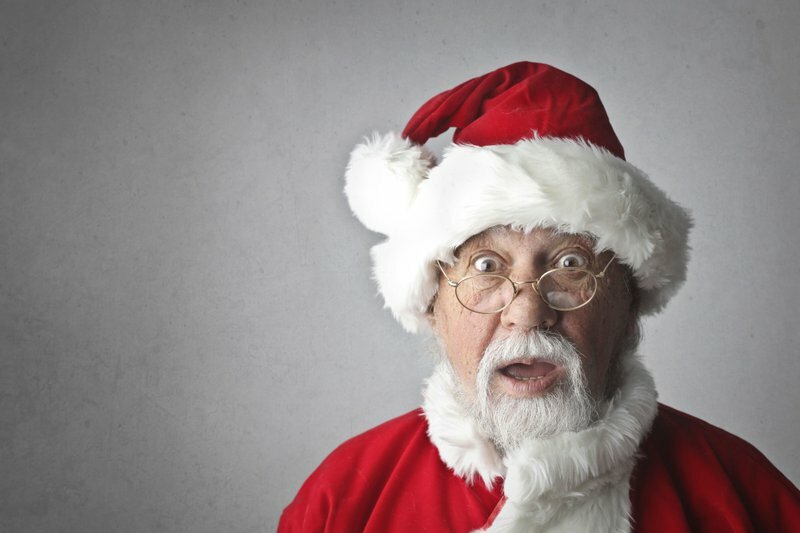 There will be no coal in your stocking with help from our expert marketers. Reach out to us if you want to make every day “the most wonderful time of the year” for your business.